Eclipse Aviation is remembered as one of the greatest failures in the aerospace industry. The company was established in 1998 in Arizona, US, and opened new subsidiaries in other states afterward. Eclipse was the producer of the light jet model called Eclipse 500 and Eclipse 400, which was a single-engine jet (McClellan, 2009). After operating for almost ten years, the company failed and was eventually liquidated and sold out in 2009 (Thurber, 2009). Although the drive for modernization and other factors contributed, financial failure was the root cause of the company’s demise. Eclipse Aviation’s financial failure was caused by mismanagement and the adoption a financial model that was not realistic. From the establishment, the company’s management and pioneers believed that they could penetrate the aerospace industry quickly and easily through the production of low-priced light jets (McClellan, 2009). Their argument was that by producing large volumes of jets and selling them at low prices, many potential customers would be attracted to the company’s offers. To achieve this, the company would focus on lowering the production costs. Eventually, the sale of large volumes of different models of jets would lead to positive financial returns (Clark, 2009a). The pioneers and management had the aim of selling thousands of jets even before the onset of the production process. Due to its vision of revolutionizing the aerospace industry, the company attracted investors who provided financial support that enabled it start operating. Bill Gates, the Microsoft pioneer, was one of the investors. 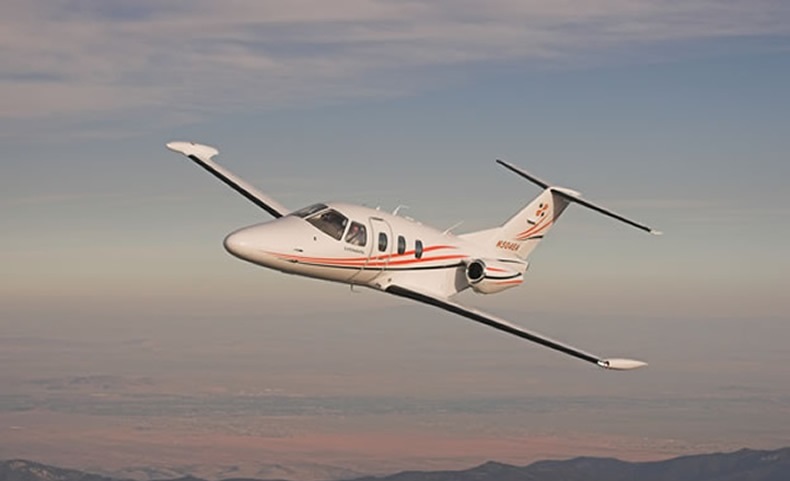 After initiating its operations, the company completed the design for Eclipse 500 in 2001 and started building its prototype during the same year (Clark, 2009b). Several challenges emerged during the production process leading o delays in the initial customer deliveries. The company made the initial customer delivery in 2007 after certification by the FAA. Eclipse started experiencing financial problems in 2007. The company was selling Eclipse 500 at a very low price, almost a quarter of the prices of similar jets sold by the competitors. Consequently, the price for Eclipse 500 was almost half the cost of its production (McClellan, 2009). Due to financial burdens, the company laid off approximately 150 contract employees, around 10 percent of its workforce. During the same year, Hampson Aerospace, a subcontractor that was given the role of tail assembly construction, including elevators, rudder, horizontal stabilizers and fin, filed a suit stating that Eclipse had failed to pay for parts that had been delivered as agreed (Aviation Today, 2008). During that year, the company built 104 jets, but it incurred debts. Hampson Aerospace’s case was solved in 2008. In 2008, the company started designing Eclipse 400, which was set to be priced at $1.35 million. The initial deliveries to customers were expected to be made in 2011. CEO Vern Raburn, the company’s CEO and president since its establishment, resigned during that year. Hampson Aerospace closed its production plant. Consequently, Eclipse was left without a producer of tail sections. Due to financial constraints, the company laid off 650 employees (McClellan, 2009). In October 2008, Eclipse was sued by Robert Bigle for the failure to return US$182,000. A similar law suit was filed by Royal Properties, a Belgian company, during the same year. Following the financial problems that it experienced, the company stopped producing Eclipse 500 (McClellan, 2009). Some of its key customers, such as DayJet, indicated that they would not purchase aircrafts from Eclipse anymore. In October 2008, media and industry analysis reports indicated that the company would become bankrupt soon. Towards the end of 2008, the Eclipse’s new CEO, Roel Pieper, said that they needed equity financing worth $200–$300 in order to continue with production in 2009. At the same time, it was difficult to get financial support considering the fact that banks and investors were highly affected by the global financial crisis (Thurber, 2009). 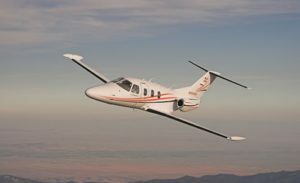 EPAC Aviation, a distributor of Eclipse 500 in Australia, filed a case against Eclipse for overturning deposits. On November 13, 2008, the employees of the company were summoned and told that they would not be paid for the work they had done during the past two weeks. They were told to go home and wait for notice. Consequently, the service facility for the company in Florida was closed. Many law suits were filed by customers during the same month due to the failure by eclipse to return deposits. The By 25thNovember 2008, 25 law suits had been filed against the company. Consequently, the company’s CEO agreed that Eclipse had become bankrupt as it owned customers and suppliers $702.6 million, which it was unable to pay (Thurber, 2009). In total, the company’s liabilities were worth more than $1 billion. After a series of cases, the company was declared bankrupt by a Delaware court. Eventually, the company’s assets were purchased by another company called Eclipse aerospace in August 2009. Eclipse Aerospace initiated business again in the old facilities of Eclipse Aviation. Modernization had a little impact in the demise of Eclipse aviation. The company had not come up with significantly new, innovative technology. The company utilized engines that were already in the market. Also, all other parts were already being sold in the market. The aim of Eclipse Aviation was to combine different parts to develop light-weight jets at low costs while maintaining good performance. Despite this, the company failed to meet the goal of optimal performance (di Piazza, 2008). Due to financial constraints and the need to produce at low costs, Eclipse 500 lacked many important devices. Thus, the buyers incurred additional funds to fix those devices. Also, the use of inappropriate technology in order to lower costs was found to be one of the contributing factors to the demise. Eclipse Aviation was not accused of the failure to meet environmental responsibilities. The company’s products did not have major negative impact on the natural environment. However, it had the social responsibility of paying its employees and suppliers, returning deposits to customers and compensating the investors. The company eventually paid its employees before being declared bankrupt. After the liquidation, some customers and suppliers were paid, but the investors were not. As such, the social responsibilities for the company were fulfilled partially. Eclipse Aviation is a good example of firms that have failed in the aerospace industry due to the adoption of a poor business model and poor financial management. The management adopted a management model that led the company to incur loses rather than gain profits. Even though it intended to sell aircrafts in large volumes in order to gain profits, it failed to satisfy the customers in many ways and thus, it could not achieve the goal. Modernization did not have a significant impact in the company’s demise. By the time of liquidation, the company did not have significant environmental responsibilities. However, it had social responsibilities that it fulfilled partially.